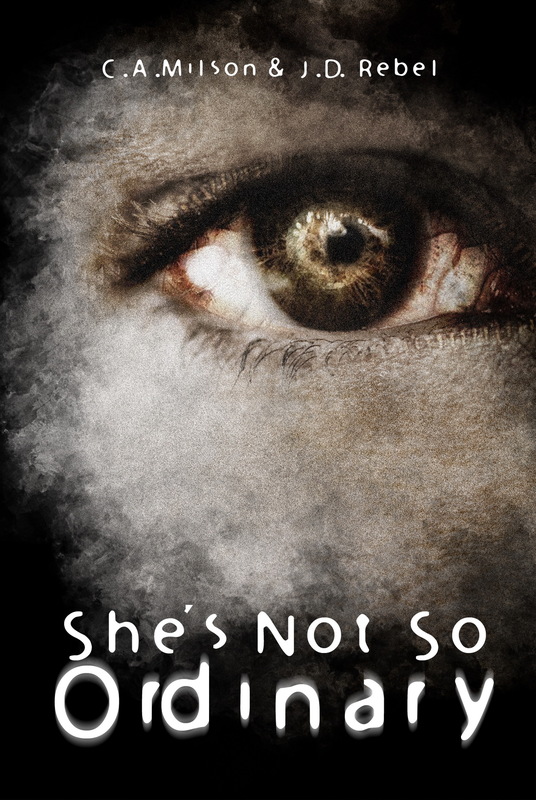 Free e-book Promo of “She’s Not So Ordinary”. The horror novel by C.A.Milson & J.D.Rebel. Free promo runs from November 25th to November 29th 2017! When and where is the story set? She’s Not So Ordinary is set in Melbourne Western suburbs. What should we know about her? Laura is the girl you would never expect to meet. Highly intelligent, perceptive, and has a dark side to her persona that not many people see. Laura had a sheltered upbringing to a point. Her mother, Cathy, used to be one of the most popular girls in school, until one event changed her life and she became a recluse and fled her hometown of Gympie to try and hide from the demons that stalked her. Not much is known of Laura’s father. Either he was dead or was a dead-beat loser who knocked up Cathy and dumped her. Cathy never really spoke of the man who impregnated her. Whenever the subject was brought up, Cathy would break down and cry, and the subject was avoided. Cathy died when Laura was around thirteen years old. Laura never found out who her father was. The storyline starts with Laura, a 20-something year old woman who works for a small business in the western suburbs of Melbourne. Laura’s first and only boyfriend (Tony) served in the army and went off to war in Iraq, never heard from again. We first see Laura celebrating with other workers at the home-office of her boss, they are celebrating the success of getting a new large client, which means that the business will be finally stepping up in the world with moving to a real office in the area. For Laura, and another person, Garratt, that means that they are being considered for a promotion at work to be made assistant manager. The promotion comes with a small increase in salary and more time out of the office, meeting new clients. But Garratt is smooth, charismatic, and down-right dirty when it comes to getting any kind of advancement. Before long, things begin to happen, and demons from Laura’s part start to surface. But is it all an illusion or is the charade just a part of a larger plot? What is the main conflict? Her main conflict is the love of her life, Tony, who is deployed in Iraq. She yearns for him to come home safely to her. What is the personal goal of the character?To find true love. Or at least, an aspect of it to find happiness. Can we read more about it? She’s Not So Ordinary is available as paperback and Ebook on GooglePlay, Amazon, Kindle, and soon as Audiobook. The film version of the novella is scheduled to be filmed in late 2015. Find out about the film HERE.